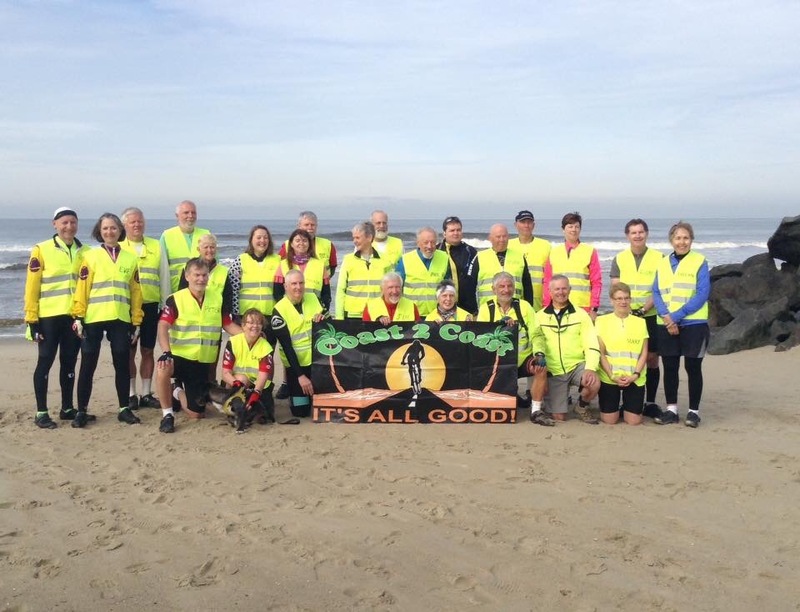 Fifty-two days ago, 25 bicyclists gathered on the beach in San Diego. Most of us were strangers when we dipped our rear wheel into the Pacific Ocean. 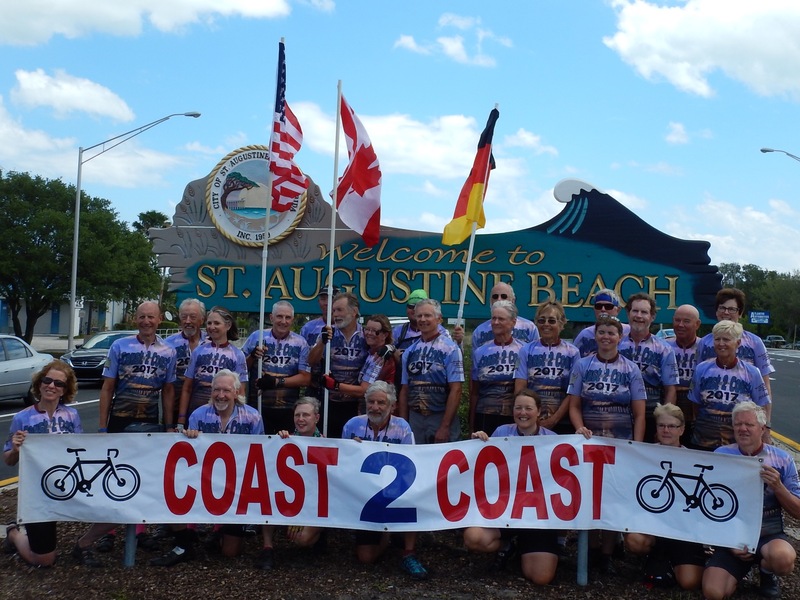 Today, fifty-two days and 2925 miles later, as we enter the St. Augustine city limits, we know each other very well. As we hit the beach for our final group photo, there is quite the sense of accomplishment. 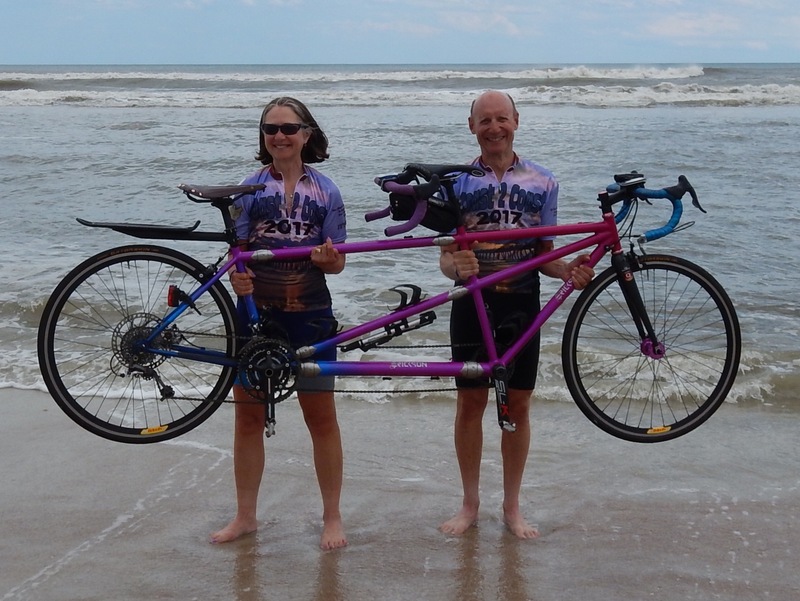 This tandem team has been through eight states and has sat on our bike seats for around 190 hours. There’s only one thing left to do, and that’s to dip the front wheel into the Atlantic. Of course you never really dip it. Salt water is not good for bike parts. If the water is warm enough, you can even go in. Just like the Tour de France riders, we celebrate with champagne. 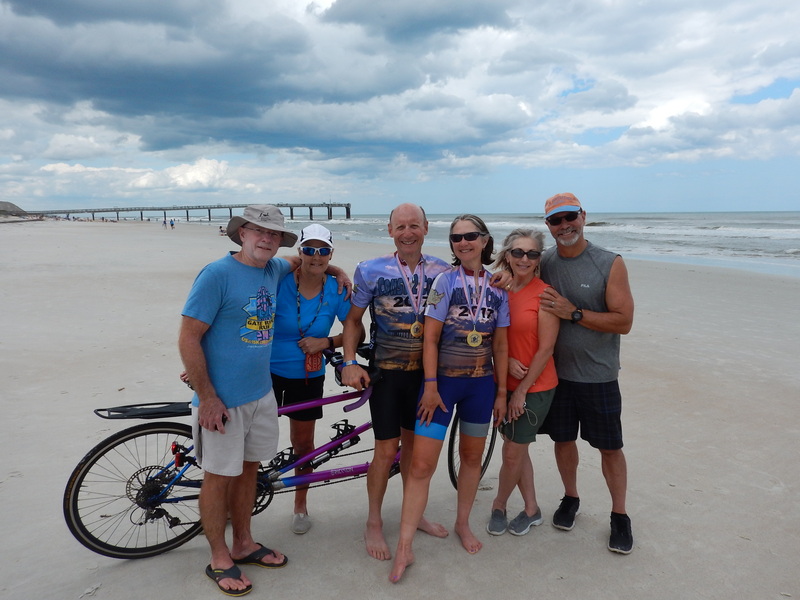 We are greeted by Heidi and Al along with Joyce and Cliff, all tandem friends. All have come to see us previously on our journey. We are happy. We are sad. We are tired. We realize that we are going to have to cook more, ride less, and do our own laundry as soon as we get home. As the trip began, Bubba’s pledge to us was that he would do everything he could to get us to St. Augustine safely. For all of us, mission accomplished! It’s all good! Thank you! You guys are awesome! It was great following along via internet on your journey. I’ll miss the daily updates~rest up, it has been a long ride! Congratulations i knew y’all would have no problem getting it done, failure is not in your genes!!!!! Way to go! I’m kinda sorry it’s over, because it’s been so much fun to check-in every day on your trip. Congratulations!! I wonder how long it will be before you get back on the bike??? It sounds like you had a fantastic trip! Thanks for taking us on the journey with you!! Way to go. Enjoyed reading your daily blog. Thanks for allowing us to join you on your journey across the U,S, Congrats on a job well done!!!!!! Thank you for your posts. It’s been such a treat to relive C2C through you. You refreshed our memories. Congrats!!! Looking good you two! Congratulations and thanks for taking us along. Rest, sleep in your own bed – the best reward ever! Congratulations! 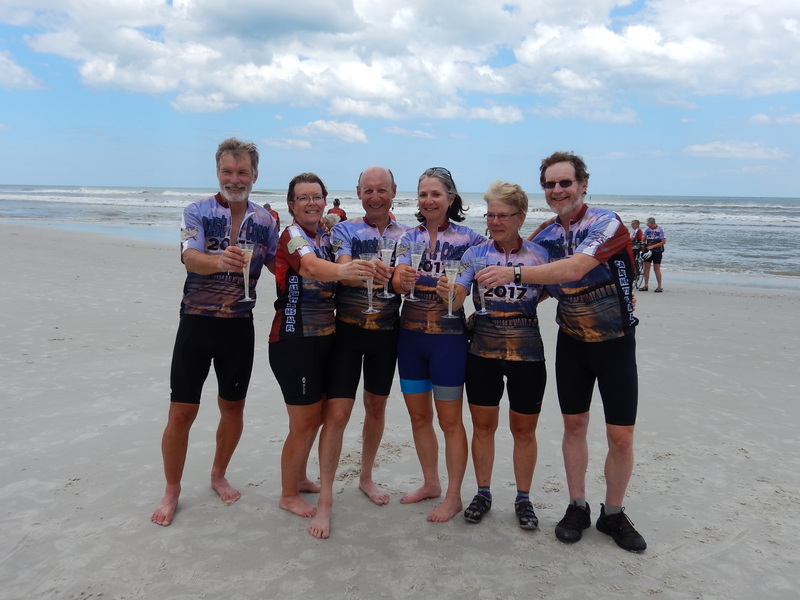 I have enjoyed following you guys across the nation and vicariously biking cross-country. See you in Valdosta! 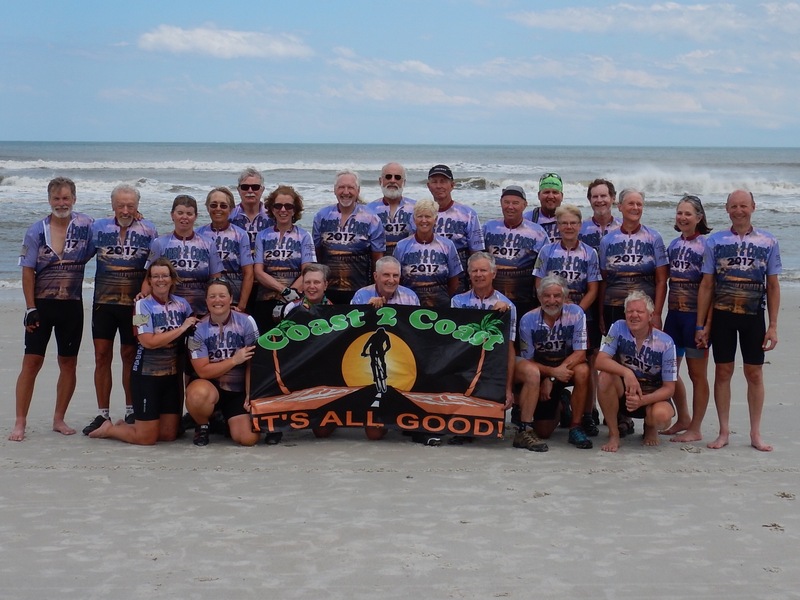 Congratulations on your amazing C2C bike tour! We have enjoyed your daily updates with great pictures. Safe travels home and best of wishes for your next bike trip. Thanks for taking us along on your journey! And congratulations on your epic accomplishment! We live here in Muncie and were members of HOOTS. We are traveling to Eve and Roger’s GA Tandem Rally. Rally we have ever been to. See you in Valdosta? Thanks for letting me tag along virtually. Someday i hope to do this ride :)!! Congratulations! I enjoyed your adventure with you! Thanks for sharing this journey. Congratulations! Now you need a vacation. Great job. Thanks for sharing and let us follow you. You have given us many insights for our trip next year. Congratulations! So amazing! Thank you for sharing your adventure. We look forward to meeting you in Valdosta! Thanks for sharing your trip with us. I have loved reading this every day and will miss your updates. Welcome home (almost). Congratulations on a great trip! We thoroughly enjoyed your daily pictures and commentaries. Looking forward to GTR in a few weeks. Get some rest!!!!!! As my sons learned to say in Indian Guides, “HEAP GOOD!” Joe and I followed you every day and talked a lot about your descriptions and photos. You are both indeed road warriors par excellence! I salute you with an Appletini since there is no champagne here right now! Very well done Roger and Eve! An incredible accomplishment and all the more so by still having the energy to do the daily blog. I’ve just had a binge reading of your exploits and am exhausted just reading them! Looking forward to seeing you in Valdosta. 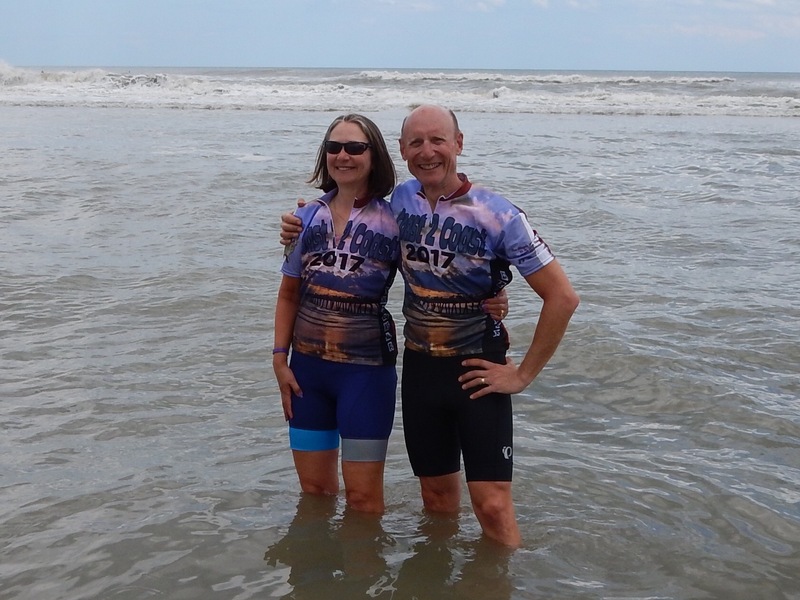 Congrats you two, amazing achievement and now we have bragging rights that we actually know two people that rode all the way across America, on a tandem! See you at The GTR. Tailwinds if you are able to do the ride, Clarence! Hope you can do it in 2019. It’s the experience of a lifetime.